Located within Essex in the southeast of England, Witham is a town in the Braintree district. It has a population of around 25,000 and a good range of housing to suit a variety of tastes and budgets. At My Home Move Conveyancing we’ve been developing our knowledge of markets like the one in Witham since 2001, allowing us to bring our clients in the area a leading, fixed fee conveyancing service. When you buy or sell property in Witham, you must instruct property lawyers to carry out the legal work on your behalf. 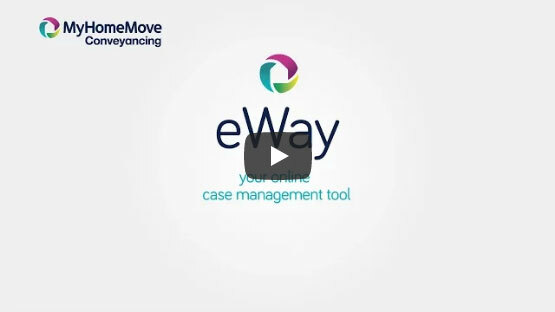 My Home Move Conveyancing offers our clients in Witham an award winning level of customer service, innovative use of technology and intimate knowledge of the local market. Our conveyancing service is both professional and friendly, and comes with no hidden extra charges to worry about. You can budget for exactly how much you’re going to pay from the outset when we act as your Witham conveyancers, and you can fall back on our ‘no completion – no fee’ policy if you don’t end up moving for some reason. We’ll assign you a dedicated conveyancer who’ll take care of all aspects of your case from start to finish, providing you with a consistent point of contact and regular progress updates. You’ll notice the energy and positivity we bring to our approach, and appreciate the online access you’ll have to your account throughout. At My Home Move Conveyancing we focus on getting things right first time round, which helps us to achieve more completions per year than anyone else. We’re proud to provide our conveyancing services in Witham to house hunters looking for homes close to the town centre, near the train station and in neighbourhoods like Chipping Hill. The average house price in the Braintree district is £274,010, while the overall average sale price in Witham during the past 12 months was a touch lower than this at £260,509. Terraced properties were involved in the most sales during this period, going for an average of £239,233, while flats fetched £159,838 and semis sold for £287,377. Archaelogical finds point to human settlement in the local area since Neolithic times, while the Romans had a presence here thanks to Witham being along the main Roman road from Colchester to London. The modern town has spilt down from its origins on Chipping Hill, and has plenty of amenities along the high street as well as the Grove and Newlands shopping centres. Witham also has a great location within South East England, around 40 miles northeast of London and not far from the North Sea coast. Trains to the capital’s Liverpool Street station take just 45 minutes, making Witham a great place to live if you want to commute to the city. Services to nearby Chelmsford take less than ten minutes, while it’s 15 minutes to get to Colchester. When it’s time to go on holiday, Stansted Airport is only around 20 miles away. There are some highly rated schools in the area for families with children to choose between. Powers Hall Junior School and Elm Hall Primary are among the best options for younger pupils, with Howbridge CofE, Holy Family Catholic Primary and Chipping Hill Primary among the other choices. Witham’s two secondary schools are Maltings Academy and New Rickstones Academy, which both have sixth forms attached. All properties in Witham will fall within one of the following council tax bands.